Get ready to well up for "Twice Upon a Time"
At his final Comic-Con appearance as Doctor Who, Peter Capaldi admitted the hardest part about playing the role was leaving it. Outgoing producer Steven Moffat also confirmed that as far as he’s concerned, the character is named Doctor Who, but admits that it’s also very silly. 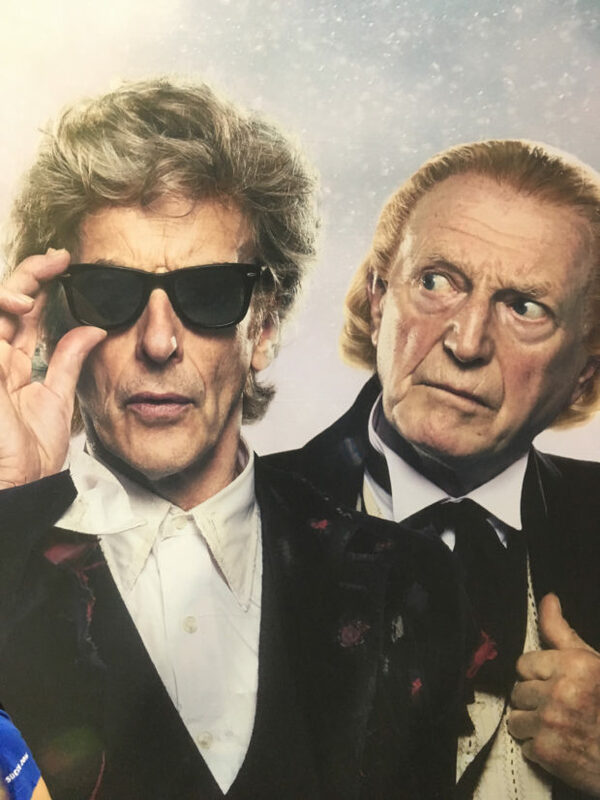 And then they dropped this trailer, which teams Capaldi’s 12th Doctor with David Bradley’s take on William Hartnell’s First Doctor. We also get Mark Gatiss appearing as “the Captain,” who fans are already speculating must be related to Brigadier Lethbridge-Stewart. That would be a terrific finale for Gatiss, a major Doctor Who fan who has expressed that he doesn’t know if incoming producer Chris Chibnall will ask him to write an episode or not. As for why I welled up… you’ll see.